Carrick Burns Club Burns Supper Top Table at Malin Court. Carrick Burns Club in its 124th year held its Annual Burns Supper in Malin Court Maidens on Saturday night. Over 100 members, speakers and entertainers once again experienced an excellent evening of fine dining and tributes to Robert Burns. Piper Allan Brown piped in the top table guests following which the Club’s new Chairman Tom Raffel welcomed the company. Tom paid tribute to the late Jim Crawford who had been a dedicated member of the committee until his passing earlier in the year. He also welcomed Allan Brown, son in law of the Club’s late Treasurer Campbell Crawford, as a new member of the Committee thus continuing the family’s long connection with Carrick Burns Club. Allan then piped in the haggis which Club Secretary Denis Reid traditionally addressed and a most excellent dinner was once again faultlessly presented and served by the outstanding staff at Malin Court. The “Immortal Memory” was proposed by Sir Kenneth Calman K.C.B. Chancellor of the University of Glasgow, former Chairman of the Executive Board of the World Health Organisation and for five years Chairman of the National Trust for Scotland. 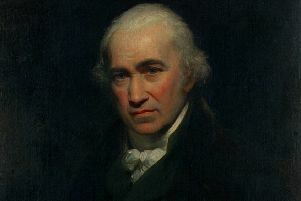 In an excellent toast Sir Kenneth considered that unknown to many enthusiasts; Burns had in many of his poems and letters shown a remarkable knowledge and interest in human health and medical matters. In a fascinating revelation Sir Kenneth supported his views in verse and quotation revealing that on four occasions in letters to Mrs Dunlop the Bard showed an interest and some knowledge of the new ideas of inoculation in the prevention of disease. This was a true revelation on Robert Burns and that he had a true passion about learning. Qualifications Ian is an outstanding public speaker. In his usual highly humourous and inimitable manner Ian had his audience in fits of laughter as he regaled them with his many tales involving the battles of the sexes. Called upon to reply on behalf of the “Lassies” was Mrs Isabell Montgomerie from Ochiltree. In a delightful and unusual manner Isabell replied entirely in verse in which she created vivid word pictures of the many and various foibles of men, their annoying effect on women and then advising on methods the ladies could use to remedy them. The ladies in the company loved every minute of it as indeed did the gentlemen. Isabell did conclude eventually however that the lassies need the lads as much as the lads need the lassies. Carrick’s unique toast to “My Scotland” was proposed by Mr Nick G. Finnigan Executive Manager of Edinburgh Castle. In a highly humourous delivery including some very funny incidents involving tourist’s question put to him and his staff, Nick showed his pride in his work in increasing the knowledge of foreign visitors and indeed fellow Scots on our wonderful historical inheritance and just what a marvellous place Scotland is. He concluded by pointing out that it was the duty of us all to pass our knowledge and love of Scotland on to future generations. The final toast of the evening to “The Jolly Beggars” was delivered by Mr Ian Doole of Kilwinning. An extremely well known face in Burns circles Ian has been Chairman of several important Burns Clubs over many years. Basing his delivery on Burns cantata of “The Beggars” Ian used many hilarious tales and anecdotes often directed at weel kent faces in the audience to illustrate the incidents and situations that develop when folk get together with a bountiful supply of food and drink. An excellent presentation on everyday life had his audience in stitches. Carrick’s resident recitor Stuart McKinlay of Ayr, once again entranced his audience with another two excellent presentations of Burns work which included another outstanding rendition of firm favourite “Holy Willie” With his brilliantly timed delivery and well directed facial expressions Stuart as always held his audience spellbound throughout both poems. Musical entertainment for the evening was provided by Ms Isobel Millar of Ayr accompanied by Mr Stephen Bradley on piano. Isobel who has fulfilled many roles on stage and with the Ayr Philharmonic Orchestra held her audience enthralled with the songs of Robert Burns. Once again her version of “Come Whistle and |I’ll come tae ye my Lad” was outstanding and greatly enjoyed as she wandered among the gentlemen teasing and enticing. Carrick Burns Club is once again extremely indebted to Natalie and Amanda and their excellent staff at Malin Court for their professionalism and excellent support in arrangement, preparation and service for the Carrick Burns Club Supper. Their standards are second to none.